What is the task card? Get familiar with Azendoo tasks. Each Azendoo task have a task card. 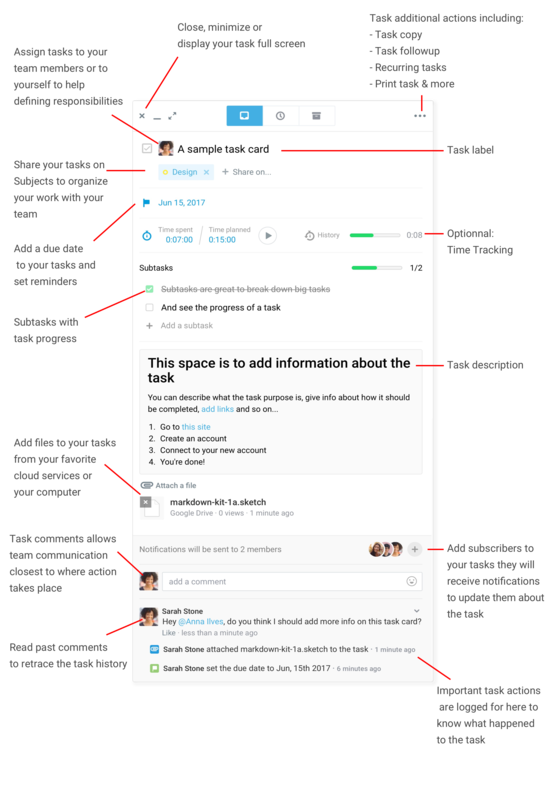 This is where you and your team will add information about your tasks, share progress and communicate around specific actions. This is where most of the collaboration takes place. Open one of your tasks and play around to get familiar with Azendoo's tasks.